Things of note for the week ending Sunday May 21st, 2017. Subscribe to the Five things on Friday Email Newsletter and you’re guaranteed to get MORE STUFF than reading it here on My Happy Place. There have been two revolutions in television during my lifetime. The first happened in 1975 when Sony launched its Betamax video system — which allowed viewers to record shows and see them when they wanted. Of course, Betamax was found to be clunky and unreliable and it was soon replaced by VHS but, without realising it, the networks had lost control of their audience. No longer would we watch the films they wanted us to watch when they wanted us to watch them. Never again, as the technology spread, would the whole nation come together as one to find out what the newscasters had been up to on Morecambe and Wise. The second revolution has been even more profound — and it’s happening right now. It can be defined in one word: Netflix. Founded in 1997, Netflix is the world’s number one television and film subscription service, even if there are other companies — Hulu, Vimeo, Amazon — snapping at its heels. It has 75 million users worldwide and an annual revenue of between $7 billion and $8 billion. Think of the most talked-about programmes of the past year: Narcos, House of Cards, Stranger Things and, most recently, The Crown. All of them premiered on Netflix. As a result of a Netflix documentary, Making a Murderer, half a million people signed a petition to free its main subject, Steven Avery. And in that single two-paragraph setup, Horowitz begins a slow yet precise of both how we are indeed in a new golden age of TV and of how the damage it might be doing to the greats of old. When a drilling platform is scheduled for destruction, it must go on a thousand-mile final journey to the breaker’s yard. As one rig proved when it crashed on to the rocks of a remote Scottish island, this is always a risky business. An excellent long read from The Guardian (Long Reads section, natch). We can all picture the gilded monstrosity of the Trump home from publicity photos (chandeliers, sad boy astride a stuffed lion, golden pillars), but it is a different place through Melania’s eyes. She takes photographs inside her house at weird, skewed angles. It is a strange effect when the half-obscured objects, chairs and ceilings, are all so golden. It looks like what a terrified little girl held captive in an ogre’s fairytale castle might see when she dares to sneak a peek through her fingers. Melania Trump’s social media photos – treated as a body of work. What do they say about her, her surroundings, her eye? @Kate8 is doing God’s work. 4. WHAT FILM SHOULD YOU WATCH NEXT? In last week’s edition, I asked one simple question: what’s your favourite movie (and why)? I won’t go into the whys, but the whats? They’re definitely worth sharing. If you’re stuck with not knowing what film to watch one night this week, give one of these a go (it comes recommended by a like-minded person). The good news is: I’ve seen about 95% of this list (hurrah for like-minded folk!) and there are others I’m yet to enjoy. Thanks y’all. I hope you enjoy. I have to admit, my mate Olly told me about this a good few months back but The Verge has written about it now so I feel like I should bring it to your attention (perhaps again? I may have covered it before). In short: Facebook Messenger as we know it is a heinous piece of messaging software with ripped-off and barely-used Snapchat-esque features that take up too much screen space and frankly ruin the entire experience. The good news is: there’s an app for that. No gimmicks. No games. No ‘stories’. 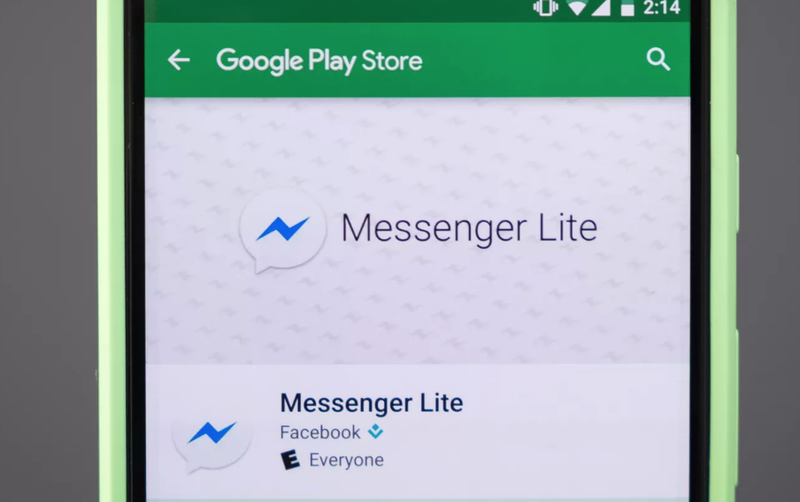 Messenger Lite is faster, uses less data, and is basically the nice, clean, and simple Messenger app from years past. Want in? This is how you get it. ‘Oldvertising‘ – crap name, meaningful idea? SNL welcomes you to the ‘post-lie’ era. MightyText for Android is dead useful. Here’s a referral code to give it a go. Nintendo is making a Zelda game for mobile. Feel free to buy my lunch at The Barbary at ANY TIME (I’ve been once, and it’s gorgeous). I wrote about ‘Who Targets Me’ last week. Here’s some of the output already. Amazing. Ignore the headline, this article about sexual freedom as women age (I’m told) is brilliant. I spoke at One Question last week – it was ACE. You should all follow it on Twitter and also go look at the Moment it posted. I’m sure there’ll be more to follow (including a write-up from yours truly – at some point). Truly, I haven’t been involved in such a high-quality event in a very, very long time. Calling Londoners – M.C. Overalls has a pop-up store on Dean Street (for a limited time only) and you should all go check it out. Last updated by James Whatley at May 21, 2017 .